Forums » General Discussion » Pokeloot Warding on Neo! Hey there guys, I've been warding pokeloot since the Neo Reboot with torches, and I figured that I would make a guide on how I do it, just to keep everything in one place and organized! How can you help? By warding any loot you see! I can't be everywhere at once, so there's going to be loot that I haven't warded yet! This warding system helps players spot out loot from afar, helps our players who don't have the best sight, and is convenient for area's where there is tons of loot, so you know where to go to get loot quicker. 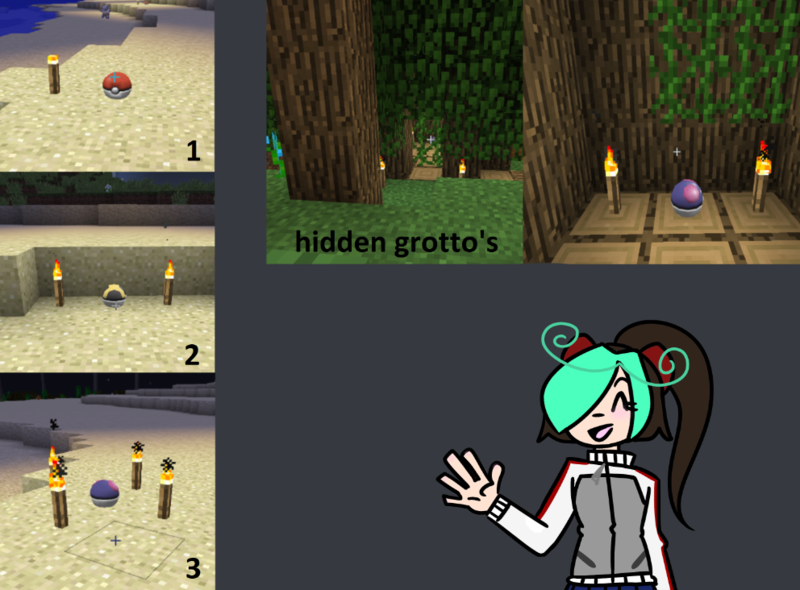 - Share coords to T3 and Grotto's either in this thread or on discord! Offering tpa's ingame is also welcomed, it's already a trend but I'd love to keep it going! I hope this guide is helpful for everyone, and if you ever have any questions, don't be afraid to ask! Have fun and happy looting!